Your days without ice cubes are numbered. 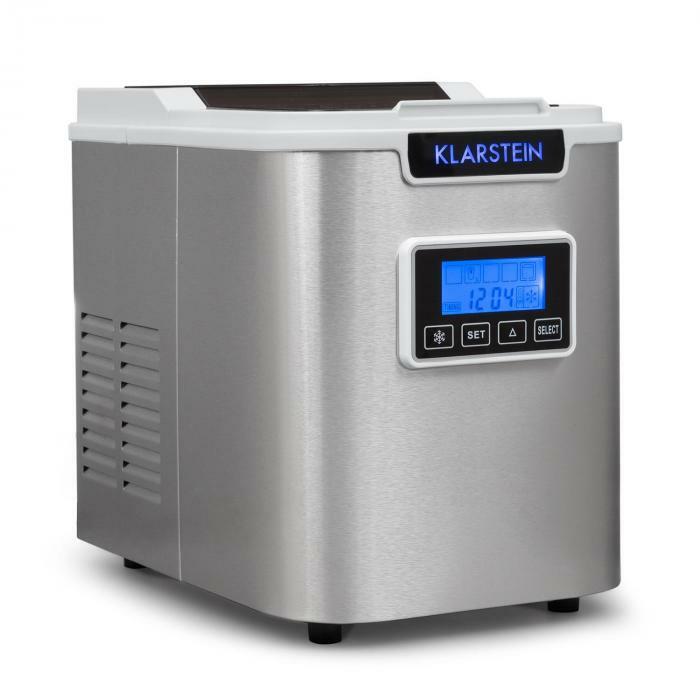 The Klarstein ICE6 Icemeister ice maker is here to refresh your parties and events with cool treats. Forget filling water forms and stuffing them into freezers, then annoyingly tapping out ice cubes one at a time. With an ice maker, that is a thing of the past. 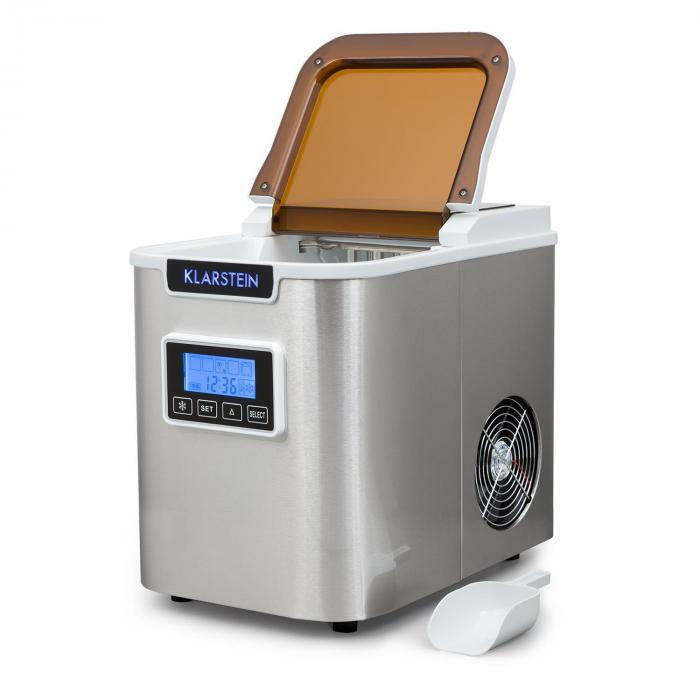 1.1 litres of water fit into the tank of the Icemeister, which starts with production immediately after filling. After 15 minutes, the first 9 cubes drop into the container.After that, the 150-watt ice maker really gets under way. 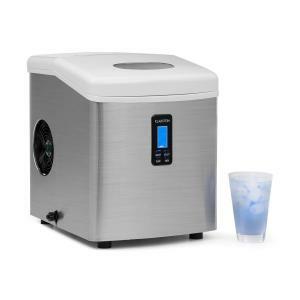 In 10-minute intervals, it continues to spit out 9 additional ice cubes until all the water is used up or the 0.4-litre ice cube holder is full (about 0.9kg of ice). 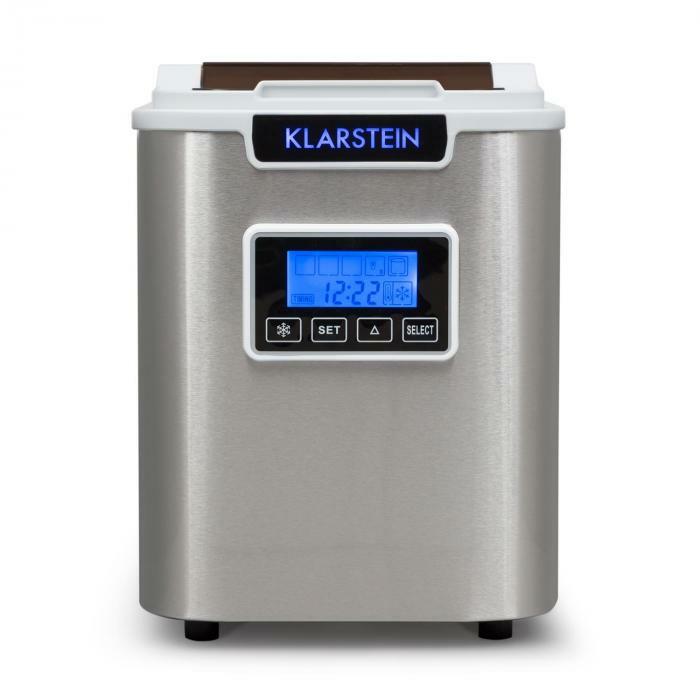 If there is no water left or if the ice cube container is full, the Klarstein Icemeister dutifully displays the information on its blue-lit LCD display. 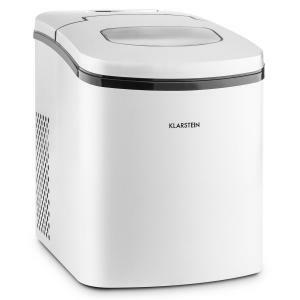 If you regularly keep up the water supply and empty the container, the ice maker will produce up to 12kg of ice cubes in 24 hours. 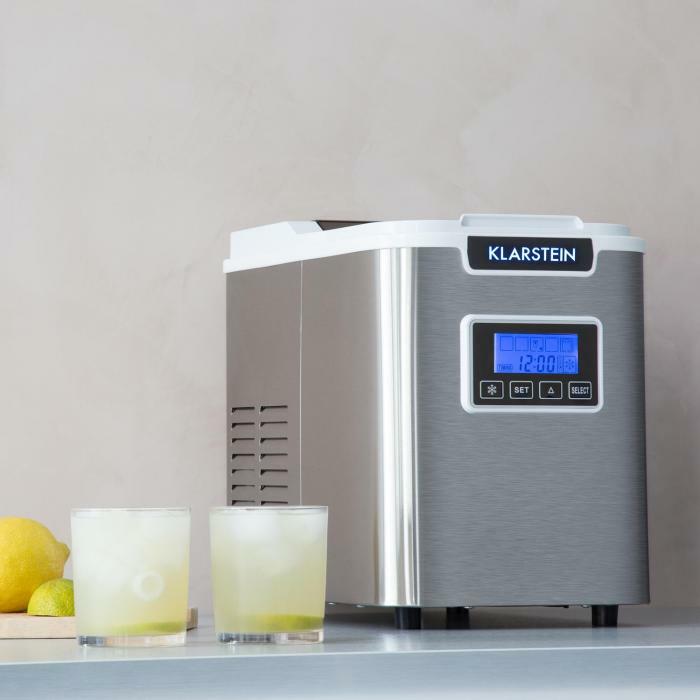 With its manageable proportions, the Icemeister fits easily in kitchens, on counters or in the party room, where it will delight your guests with a constant supply of ice cubes. 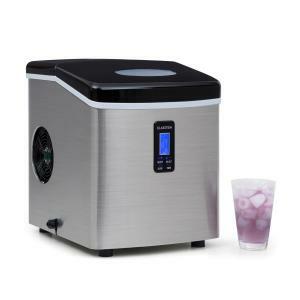 The noble brushed stainless steel housing meets all modern design standards with its shape and appearance, making the ice maker an eye-catching device in your bar area. The Icemeister skillfully emphasises this with its white plastic lid with viewing window and its blue emitting LEDs, unobtrusively capturing the look of a true party professional. 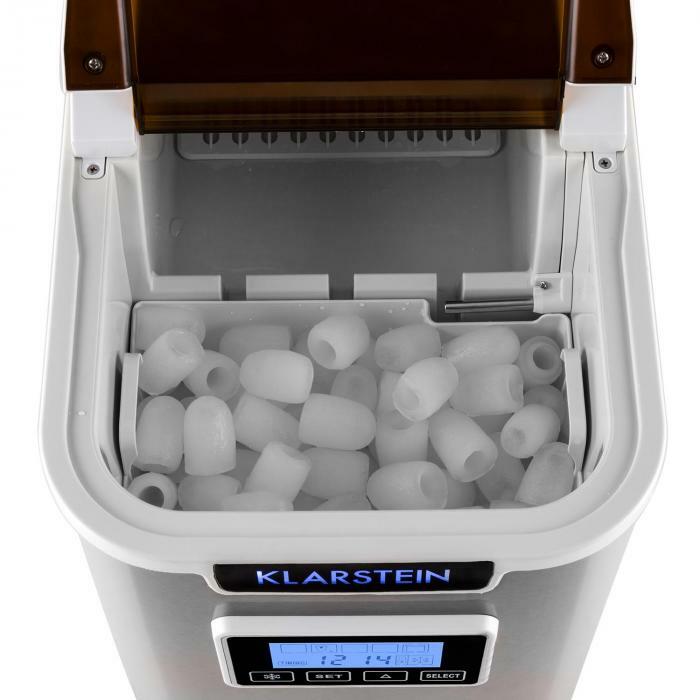 Needless to say, the Klarstein ice maker leaves no bad taste, since all internal parts and the pump system are made from taste-neutral plastic. 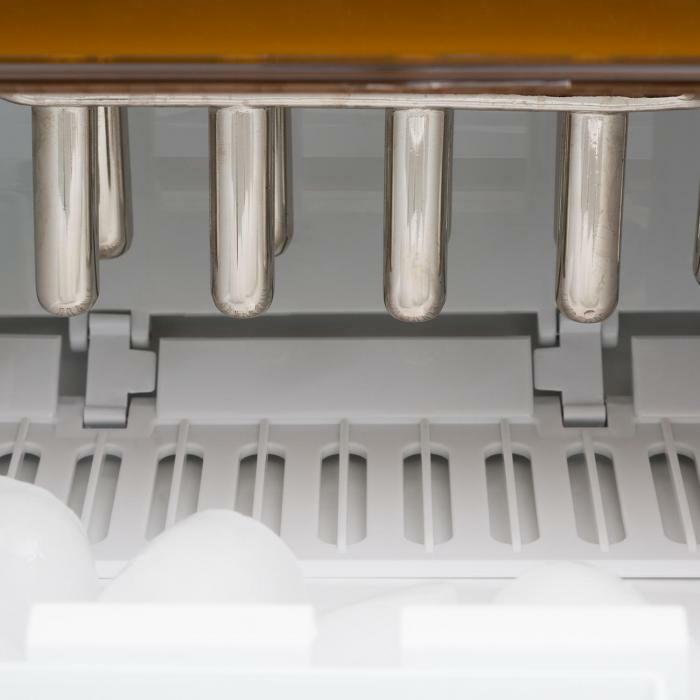 Even in cleaning, the Icemeister is exemplary: it features an automatic cleaning program that does most of the work for you. 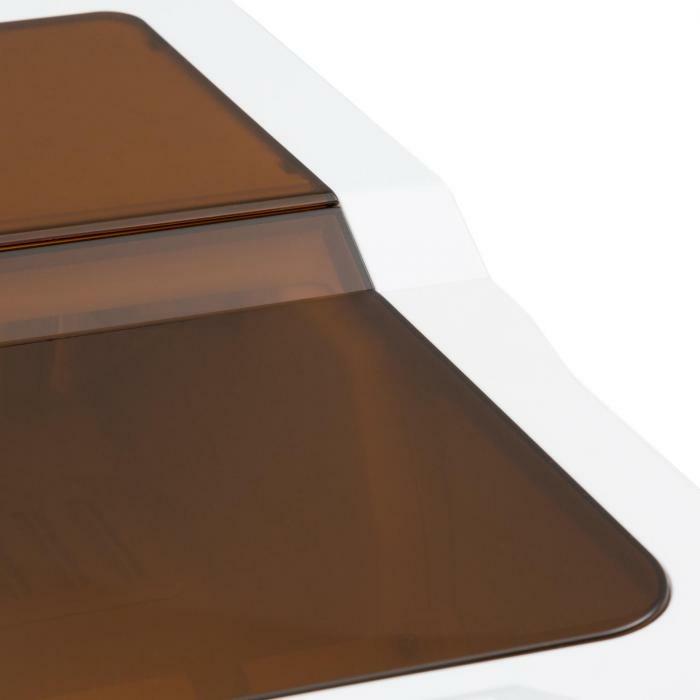 Residual water can be easily removed from the unit via a drain valve. Available colours: white, black (item 10028097).